Did you know that there are an estimated 6,500 medical device companies in the United States? However, 80% percent of those companies consist of fewer than 50 employees. The large OEMs make up the bulk of the 2 million MedDevice manufacturing jobs nationally. Did you ever wonder how start-ups and small MedDevice companies can remain competitive? They depend highly on collaborative partners to help them innovate and get their products from R&D to market. We know that innovation fuels MedDevice, and a skilled collaborative partner can mean everything in getting products to market quickly and efficiently. 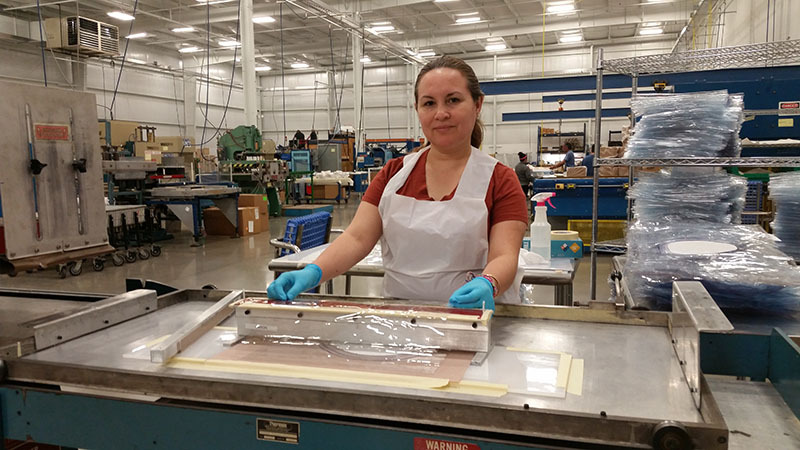 Genesis Plastics Welding is proud to support numerous U.S. medical device OEMs, from start-up to large enterprises, with the contract manufacturing of specialty thermoplastic devices that depend on radio frequency welding for durable and leak-proof seams. We value all our clients, but we know for start-ups and small OEMs, we’re indispensable. Genesis Plastics Welding provides comprehensive solutions for medical device manufacturing, from start-ups to large OEMs. As a leading innovator in the plastics welding industry, our team is led by experienced manufacturing professionals that are dedicated to providing the best quality product and the highest level of service. Whether utilizing our R&D or contract manufacturing services, the relationship with our clients is the focal point for our entire team. Our collaborative approach begins with understanding your business needs. From there, it’s all about bringing your innovative ideas to market with an eye on quality, profitability, and sustainability. We’re always interested in new projects, big or small. Get in touch and let’s chat about your project. There is no doubt that multiple avenues exist for the contract manufacture of medical devices and radio frequency welded components. After all, competition is an important aspect of the quoting process for sourcing and procurement teams. It is key in pinpointing a single or dual source at the best price and quality, that also meets all outlined product specifications. However, did you know competition also drives innovation and motivates organizations just like Genesis Plastics Welding to be leaders within their industries? It is a driving force that inspires us to think innovatively, focus on quality and customer satisfaction, know our customers better than anyone else and continuously seek improvement. Nearly three decades of radio frequency welding (rf welding) expertise along with comprehensive medical device outsourcing solutions from initial concept to low or high volume production. Unmatched technical expertise in the art and science of thermoplastics heat sealing of polar and non-polar plastics, including specialty materials. 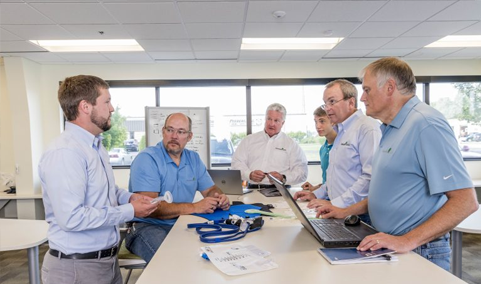 As a true collaborative partner, we pride ourselves on assisting medical device manufacturing clients in the nurture of innovation with an eye on overall business goals, even if that means helping shift production outside our Indiana facility as volumes climb. 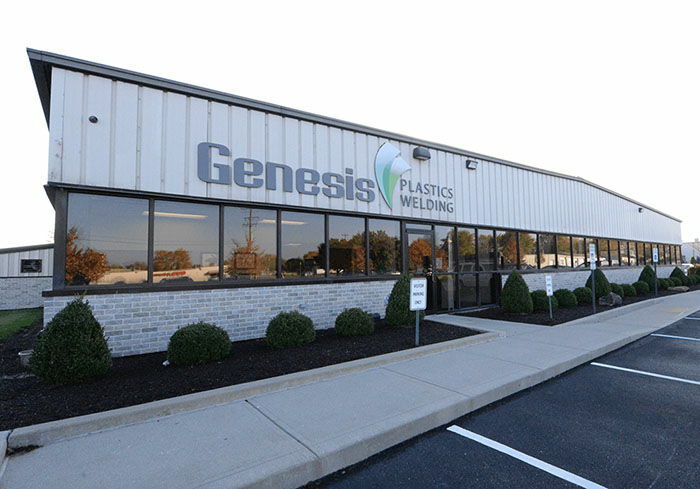 We understand that as a sourcing team you need to explore all avenues, but we remain confident that if you are in search of the authority on radio frequency welding and an industry leader in the manufacture of heat sealed medical devices all paths will lead to Genesis Plastics Welding. Check out those three undeniable reasons one more time, and let’s get started. Send us your request for a quote. Schedule a visit and see us in action. Either way, simply put, Genesis Plastics Welding is your medical device contract manufacturing answer.